It’s a good time to be on the market for a new carrier. Sprint just announced a $60 a month unlimited plan, while T-Mobile is offering free LTE incentives to its customers to invite their friends to the network. Ready, fight! The new Sprint plan offers unlimited voice, text and data for $60 a month. That’s $20 cheaper than T-Mobile’s unlimited plan. The caveat is that you have to either bring your own device, pay full retail or use Sprint Easy Pay to get a device. The plan goes into effect on August 22. 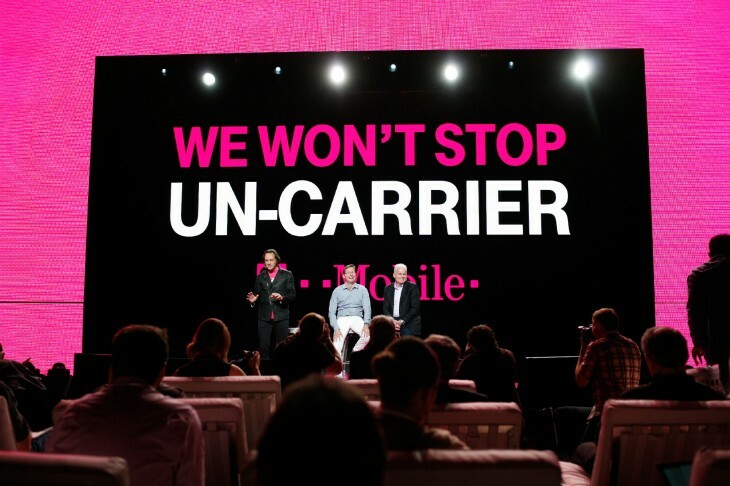 Not to be outdone by Sprint’s new CEO Marcelo Claure and the carrier’s aggressive pricing, T-Mobile is offering unlimited LTE to any current customers that “rescues” Sprint (or AT&T and Verizon) customers by getting them to sign up for T-Mobile. The new customer will also receive free unlimited LTE for a year. If the current customer already has unlimited LTE, they get a $10 credit on their monthly statement for a year. The referral promotion starts on August 29. Earlier this week on August 18, Sprint unveiled a $100 a month family plan and offered up to reimburse new customers $350 to get out of their contract with an another carrier. The two companies had been in merger talks, but Sprint walked away from those talks earlier this month.